This lovely 4 bedroom house is situated in the heart of the village, close to the shops and bus stop. It has well laid out accommodation with entrance hall, downstairs cloakroom, good size lounge/kitchen and a good size conservatory and bedroom on the ground floor. 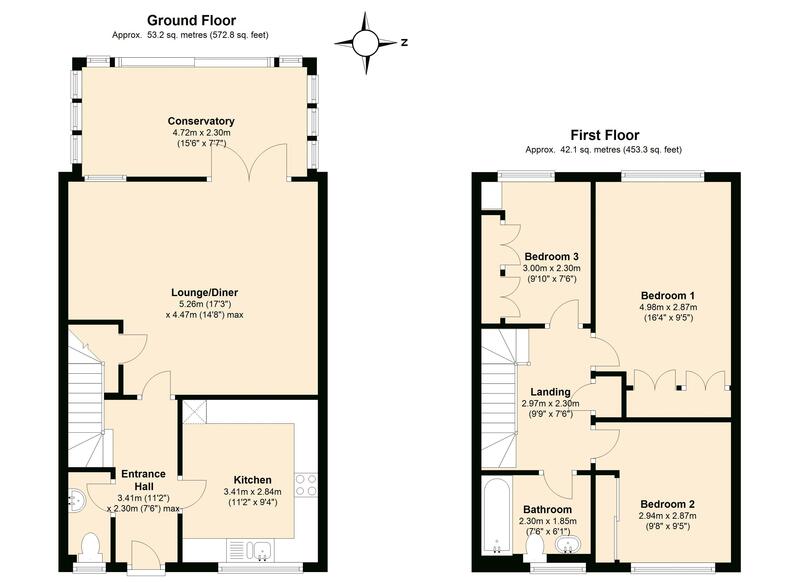 On the first floor, off the landing is bathroom with Hudson Reid fixtures and a power shower, and 3 bedrooms with fitted or built in wardrobes. There is a gas central heating system to radiators and double glazed windows. Behind the sunny aspect Westerly facing garden is a parking space. EPC Rating: C. 12 month contract from 5th July 2019.